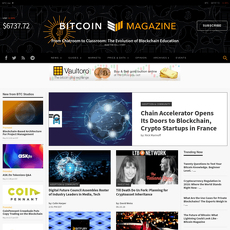 If you ever want a platform where it basically talks about trading and releases publications about them, particularly for Bitcoin, 21 Cryptos is the site for you to sign up to. The site gives you a clear access to know what it stands for and crypto tips you will find useful from all around the world. For the latest mews, advice and tips which would be direct to your inbox on your email, just subscribe to the site by filling in your email and password. Firstly, one of the things you will find is an Inside issue with an “hash tag-number i.e. #11”. They contain future editions of magazines to be released. All editions on the site are always highlighted but no link or story about them. You get a clear understanding on what’s coming next from the site without gambling. So, in order to get the latest issue, all you have to do is subscribe. The page offers an opportunity for readers to view sample pages for free. Secondly, there is a mailing list where all you have to do is put in your email and subscribe for exclusives and giveaways that are always exciting to people. 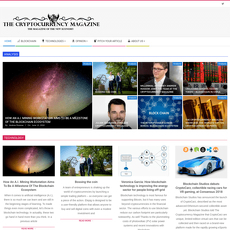 Also, there is a blog section where blog posts are displayed and have been divided into categories such as; Crypto Sister, 21C Official, Price for the PY, etc. 1. Inside Issue: These are editions of magazines on the site. 2. Blog: The blog displays daily updates from the site. Best and only Bitcoin Trading platform.